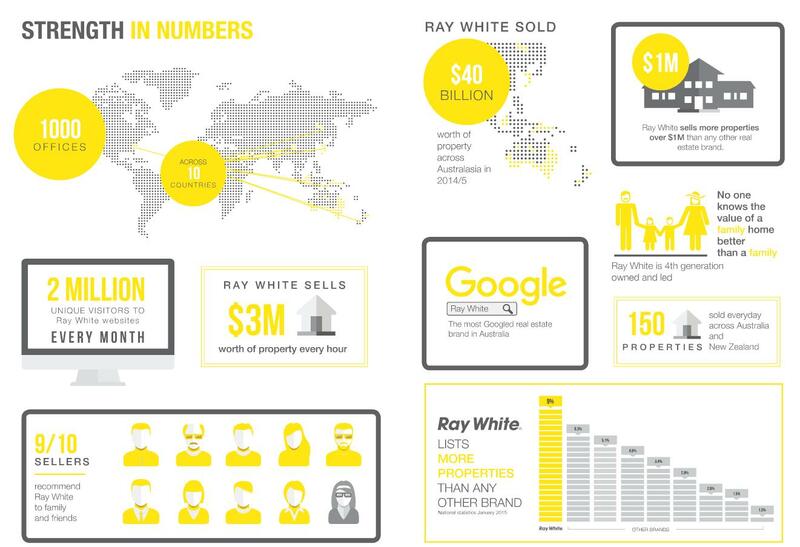 When you talk about names that are synonymous with their industry, Ray White is always going to be towards the top that list. And while it sounds almost ironic to call a real estate agent a ‘household name’, it’s perhaps fitting, given we are now the leading real estate brand in all of Australasia. And of course there’s good reason for much success. We’ve sold more properties in Australasia than any other real estate agency. And our team of nearly 13,000 talented property professionals – in nearly 1,000 office across nine countries – are some of the best in the business. With our multidisciplinary offering, and innovative proprietary technology, systems and procedures, we can give buyers, sellers and investors alike a peerless service.